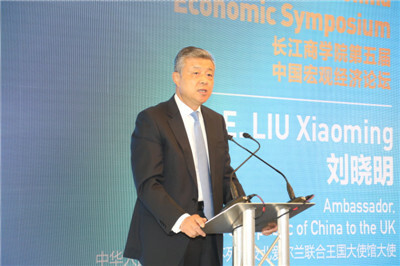 On July 19, Ambassador Liu Xiaoming attended the fifth China Economic Symposium themed “What’s Next for the Golden Era of UK-China Relations” and delivered a keynote speech entitled Uphold Openness and Inclusiveness for Win-Win Cooperation. 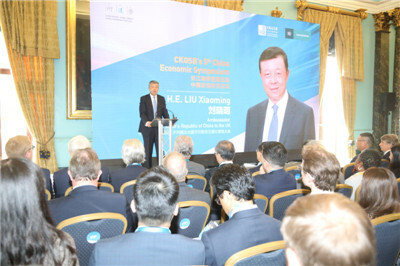 Jointly held by the Institute of Directors of the UK and Cheung Kong Graduate School of Business (CKGSB) of China, the event was also attended and addressed by Sir Douglas Flint CBE, Belt and Road Envoy of the UK Treasury, Stephen Martin, Director General of the Institute of Directors and Prof. Xiang Bing, the Founding Dean of CKGSB. Nearly 200 guests including Chinese and British government officials, business leaders, representatives from education and media circles as well as the students of CKGSB were present. Ambassador Liu noted in his speech that this year marks the 17th anniversary of China’s accession to the WTO. In the past 17 years, to fulfill its pledges, China has continued expending opening up, actively promoting trade and investment liberalization and facilitation, and boosting world economic growth. It has become a major stabilizer and powerhouse for global growth, showing its commitments, firm resolve and inclusive spirit. 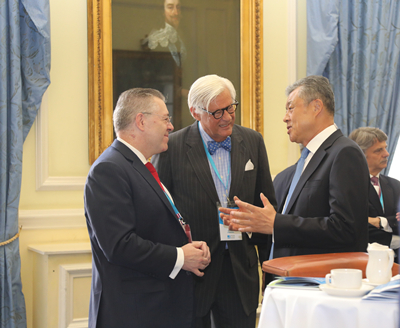 Ambassador Liu said that China and the UK need to leverage the opportunities arising from the changes in the world, China’s opening up, and the Belt and Road Initiative (BRI) to uphold openness and free trade and join hands to voice support for economic globalization and opposition to unilateralism and trade protectionism. China stands ready to work with the UK to enhance openness and cooperation in the world economy and to build a community with a shared future for mankind. 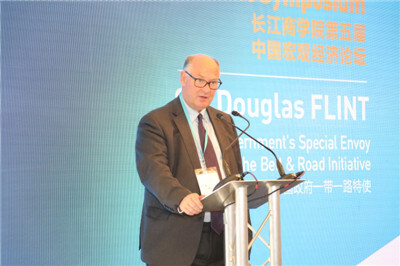 Sir Douglas said in his speech that the BRI provides transformative business opportunities to address the challenges of global population, environment and climate change and to promote economic growth, connectivity and prosperity throughout Eurasia, East Africa and the local regions. Britain has its expertise in project design and management and enjoys unique advantages in financing, risk management and legal services. The UK is willing to actively participate in the BRI and play its role in broadening financing channels and expanding the scope of the BRI projects. 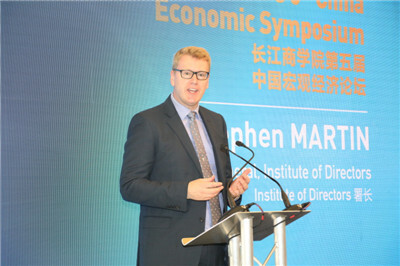 DG Martin said that the UK-China economic and trade cooperation is booming. Brexit has brought new opportunities for the development of UK-China relations. Under this new situation, British enterprises are eager to strengthen cooperation with China in trade and investment. 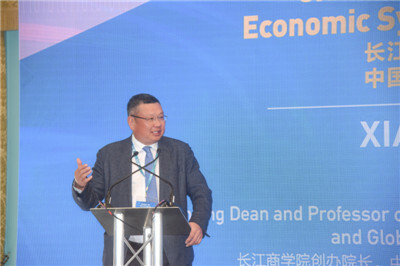 Professor Xiang Bing said that China’s recently-announced opening up measures will not only boost its own development, but also promote world prosperity. Under the current situation, all countries should further strengthen cooperation, actively promote trade and investment liberalization and facilitation, and take economic globalization to a higher level.